The final round of the 5 Alarm Firefighter Challenge was live on Good Morning America July 16 2014. Find out if McAllen Fire Department or Tacoma Fire Department took home the grand prize. Plus, Lay’s Potato Chips Do Us a Flavor contest. 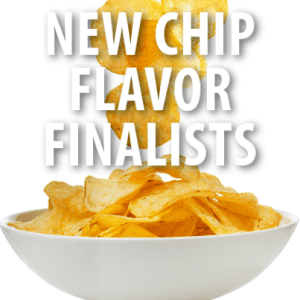 Lay’s Potato Chips had 14 million entries for their Do Us a Flavor contest, but there are four finalists who were on Good Morning America with their chips. The winner will receive a $1 million grand prize. The first finalist is a man who is working for his PhD at the University of Nevada in Los Vegas. His flavor his cappuccino, and Amy Robach seemed to enjoy this potato chip. Chadd Scott said he found inspiration from doing so much writing in coffee shops. The second finalist is a full-time firefighter. He took inspiration from his work, and cooking food for guys at the firehouse for his chip idea. His flavor is cheddar bacon mac and cheese. Amy Robach seemed to really enjoy this flavor, and said that there’s a strong barbecue flavor. The third finalist said her flavor idea came from her grandmother, who is Japanese, and decided to go with wasabi ginger for her flavor. Amy Robach said the chip tasted fantastic. The fourth finalist was inspired by her garden, husband and tacos to come up with her flavor, mango salsa. Amy Robach seemed to enjoy this flavor quite a bit as well. You can vote for your favorite chip flavor at the Do Us a Flavor website. The two finalist in the 5 Alarm Firefighter Challenge had their final round on Good Morning America July 16 2014. McAllen Fire Department and Tacoma Fire Department went head-to-head in Sizzle or Sink Trivia Showdown. Each team has a member in the dunk tank, and the losing team will be dunked in the water. The winning team will take home $10,000. The trivia game was heated, and the score remained within a point of each other the entire time. In the end, McAllen Fire Department won the game and took home the $10,000.